They say all good things come in 3’s and for Headland Amenity, BTME 2019 saw the introduction of three new products to their range of speciality fertilisers and chemicals for golf and sports turf. The new additions include H-Cote and Protec Plus fertilisers and a triple-active selective herbicide, Columbus. 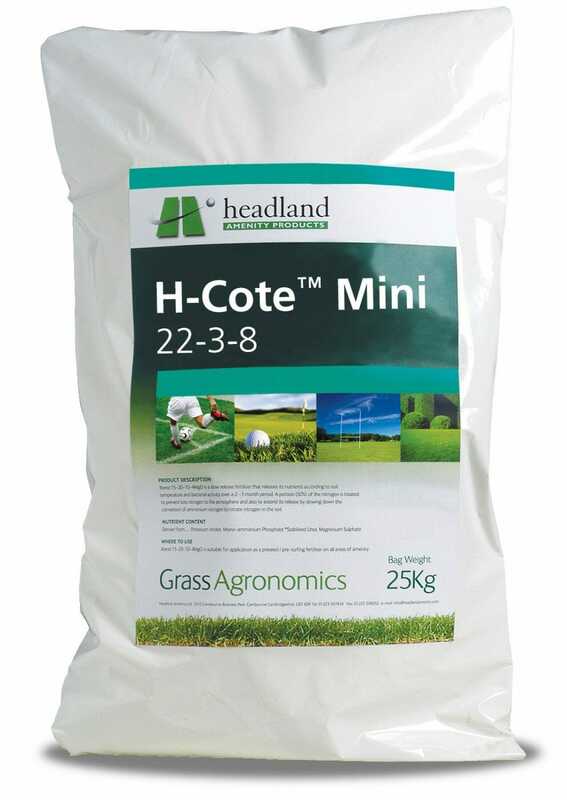 H-Cote controlled release fertilisers are a new range of mini-granular fertilisers, designed to fill the gap between traditional outfield and fine turf products. 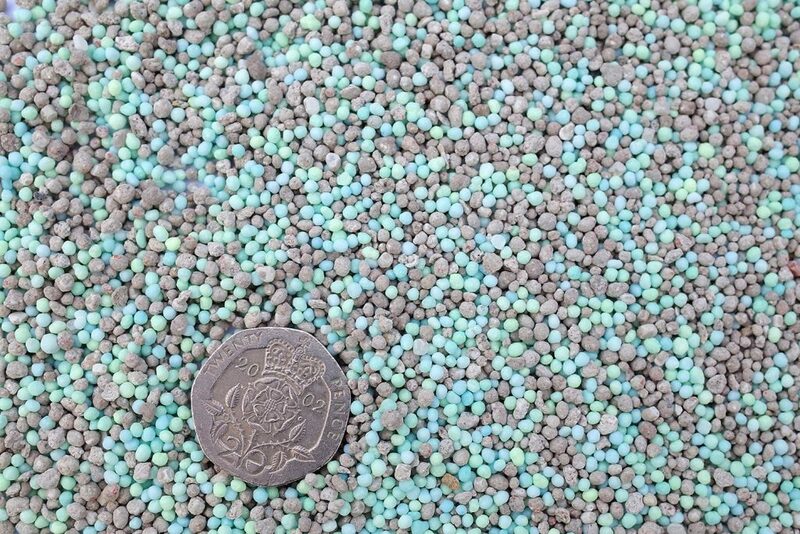 The 150 SGN mini granules are easy to apply and rapidly dissipate into close-mown turf. The product’s 3 to 4 month longevity is due to the inclusion of high levels (70-91%) of controlled release nitrogen from Poly sulphur coated urea, providing release characteristics that are gentle and sustained, with minimal risk of flushing or excessive growth. The 3 formulations, 22-3-8, 15-5-12 and 10-5-14 all feature iron and magnesium for strength and colour and have all performed outstandingly in trials on both golf green surrounds and approaches as well as winter sports pitches. Protec Plus liquid fertilisers feature slow-release nitrogen from a unique liquid source of methylene-urea. The particularly low salt index of this material renders the finished products extremely safe to apply even under extremes of hot/dry weather and contributes to a consistent, reliable and long-lasting turf response. The Protec Plus range also features 3 formulations, 28-0-0, 15-0-12 and 16-4-8, each containing good levels of slow-release nitrogen for cost-effective results during the summer. Headland’s new triple-active selective herbicide Columbus is formulated from Clopyralid, Fluorxypyr and MCPA for control of a broad spectrum of common turf weeds. For use on all managed amenity turf, its unique micro-emulsion formulation provides enhanced herbicidal activity to help ensure good control, with treated areas able to be re-seeded from as little as 8 weeks after application.